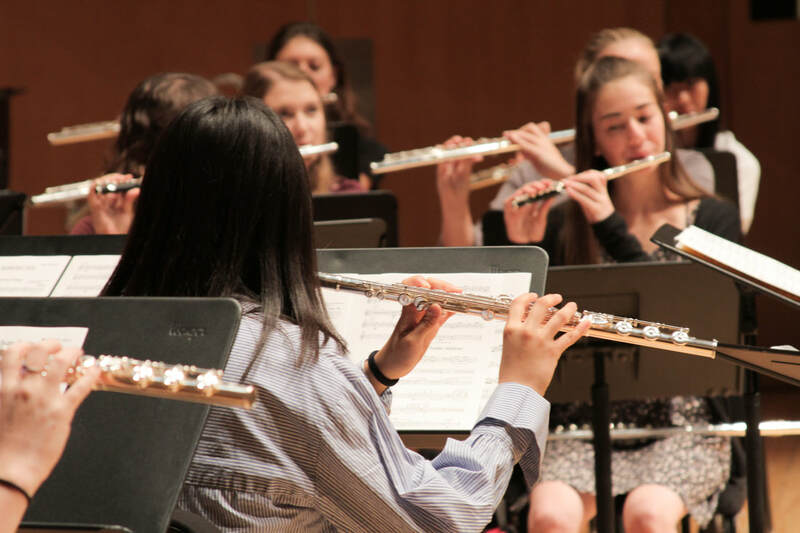 The Summer Flute Institute @ MSU Denver is a four-day flute retreat featuring repertoire classes, technical development classes, daily tone exploration/warm-up sessions and chamber music. Flutists will participate as performers, observers, chamber musicians, and through other hands-on learning opportunities. Students will join in-depth exploration musical elements such as of tone, technique, phrasing and expression. Daily recitals will feature teaching artists and members of the class. Attendees may enroll as either performers or participants. All attendees will receive daily individual and group coaching with faculty members. Performer level participants will play in repertoire classes for our faculty. Up to 16 performers are chosen by recorded audition. There is no limit to the number of participants. Every age adult and performance level is encouraged to apply (student, amateur, semi-professional, professional). Additionally, flute makers will exhibit their instruments for attendees to try out and buy! We have a conference rate at Springhill Suites at Auraria, a conveniently located on-campus hotel. Additionally, meals are available on campus at the Tivoli Student Union and other locations. Denver's Larimer Square and 16th Street Mall are located within walking distance from campus, offering many shopping, eating and entertainment options for out of town guests. Light rail service is available from the Denver International Airport to campus, so no need to rent a car! The Summer Flute Institute at MSU Denver is committed to providing the highest-quality flute pedagogy to flutists of all ages. Please contact SFI Director Patricia Surman if you have any questions at psurman@msudenver.edu.